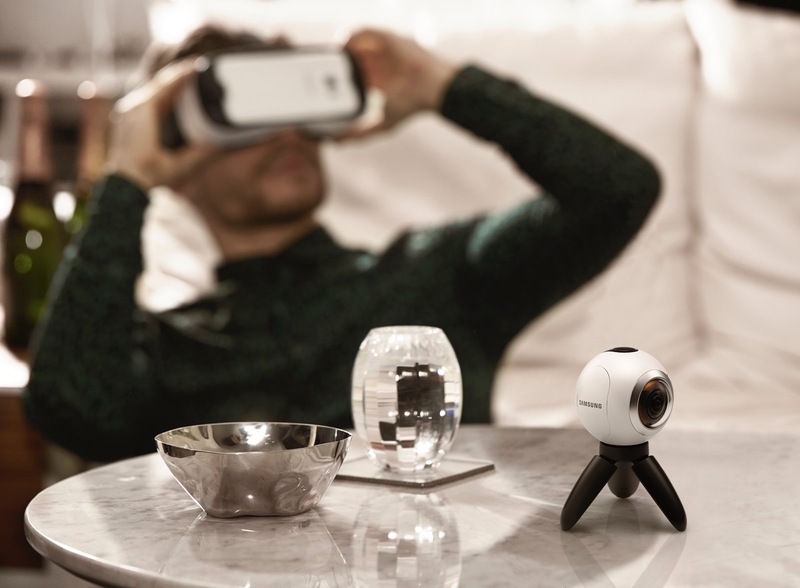 Previously available online only, the Gear 360 camera from Samsung can now be found in many physical stores. Still priced at $350, potential buyers can check out the VR content-making machine at Verizon, US Cellular, AT&T, Best Buy, and Sprint. For those looking to get into VR content creation, the Gear 360 is not a bad place to start. The device features dual 15-megapixel fisheye lenses, capable of capturing 30MP spherical stills or up to 3840 x 1920 high-res video. While many social networking sites now support 360-degree video, the best way to experience your work is on a Gear VR headset, naturally. The Gear 360 is also dust and splash resistant, carrying an IP53 rating. However, with that rating, you won’t be doing any underwater shooting. While I love the concept of the Gear 360, I think it’s still pretty pricey. If the price was to drop to around $199, I think we would see a lot more people tempted to pick one up. Have you used the Gear 360? What’s your take on it?